Two of the five big shorts are held by well-known quant funds: AQR (1.09% short) and Capital Fund Management (0.8% short). 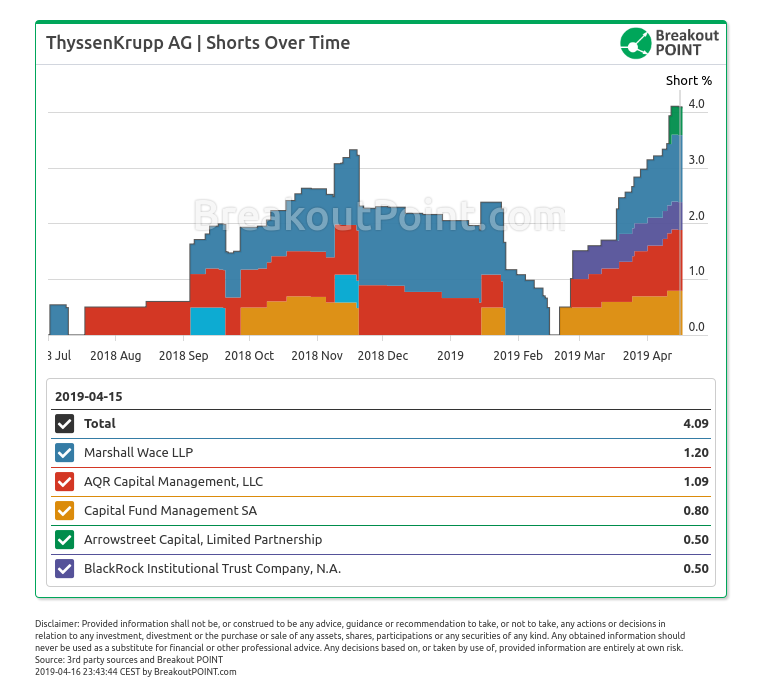 The biggest short holder in Thyssenkrupp, Marshall Wace (1.2% short), holds further 22 big shorts in Germany. Most notably, Marshall Wace holds several other DAX shorts: Daimler AG 0.59% short, Deutsche Bank AG 0.90% short, MERCK KGaA 0.60%. Interestingly, in May 2018, activist fund Eliott said that it had a stake below 3% in Thyssenkrupp, while in a letter from December 2018, Eliott expressed doubts with regards to Thyssenkrupp's plan to split (ref. Reuters). 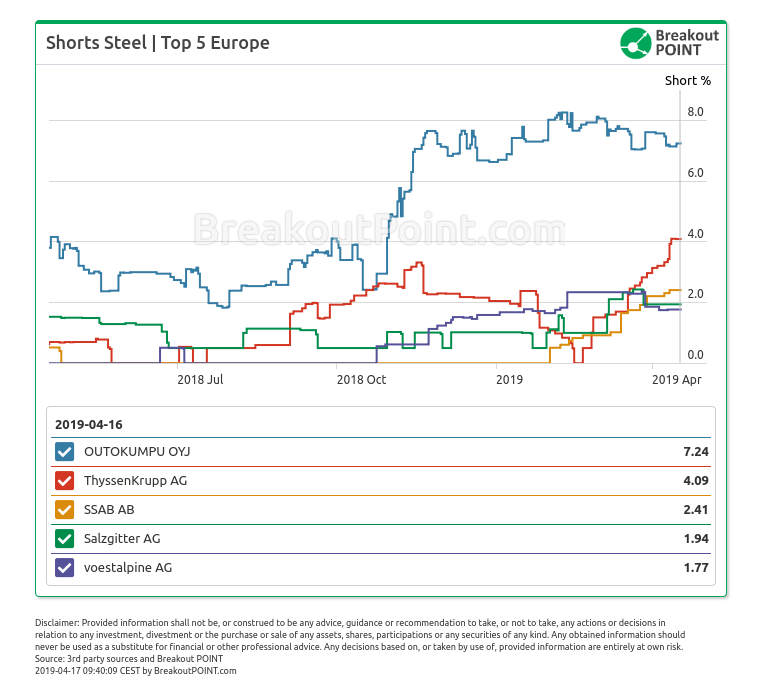 According to Breakout Point's records, within EU steel sector, Thyssenkrupp is second most shorted firm in percent terms, behind Swedish Outokumpu. Don't want to miss the latest big short bets across Europe? Join Breakout POINT. * Note: Presented short selling data is based on European net short position data which is disclosed to the public when short positions at least equal to 0.5% of company issued share capital. Presented data and analytics is as of available on 2019-04-16.